The 10 month, 24-race schedule travels coast-to-coast from February through November. …overjoyed at the fact that I am now in my twelfth year of remission, have a gorgeous wife and two perfect children, and have the job that I’d always dreamed of. Driving a 330+mph Top Fuel dragster isn’t the most courageous thing Jack Beckman has ever done. In fact, it isn’t even a close second. The 2019 Infinite Hero Foundation challenge coin pays tribute to the U.S. Air Force. The goal of the IHF is to release a series of coins honoring the various branches of the U.S. Military. The Foundation has chosen to kick-off this special series of coins with a challenge coin in honor of Jack Beckman, former sergeant in the U.S. Air Force. 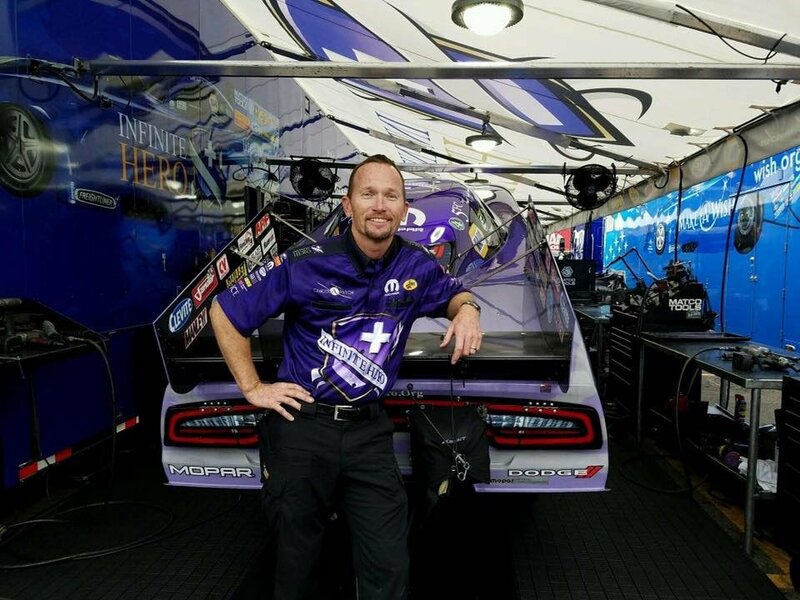 Since the Infinite Hero Foundation Dodge Charger SRT Hellcat hit the track at the sixth event of the season near Houston in April 2014, Beckman has been the pitchman for educating the NHRA community on the foundation and cultivating funds via the sale of Infinite Hero challenge coins.